Rare: France; RCA, PK 45406; 1982. Full photo cover bordered in black; yellow spine and rear panel. The cover is thick, treated and folded paper and the rear has the track list and care information which is in French and SDRM logo on inner rear panel. 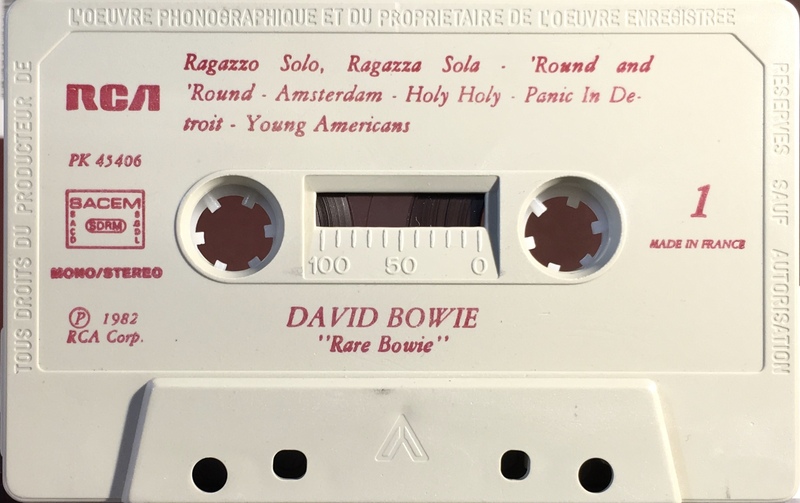 The title is given on the cassette and spine as “Rare Bowie”. Red ink printed directly onto white shell with solid, horizontal red RCA. 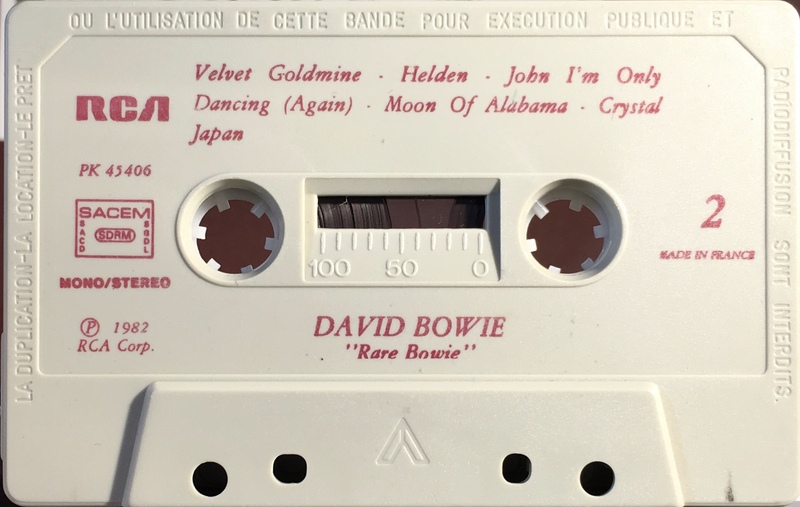 SACEM rights; Mono/ Stereo; “Rare Bowie” and Made In France on shell. Production and copying information printed stamped around the outer edge of the shell. 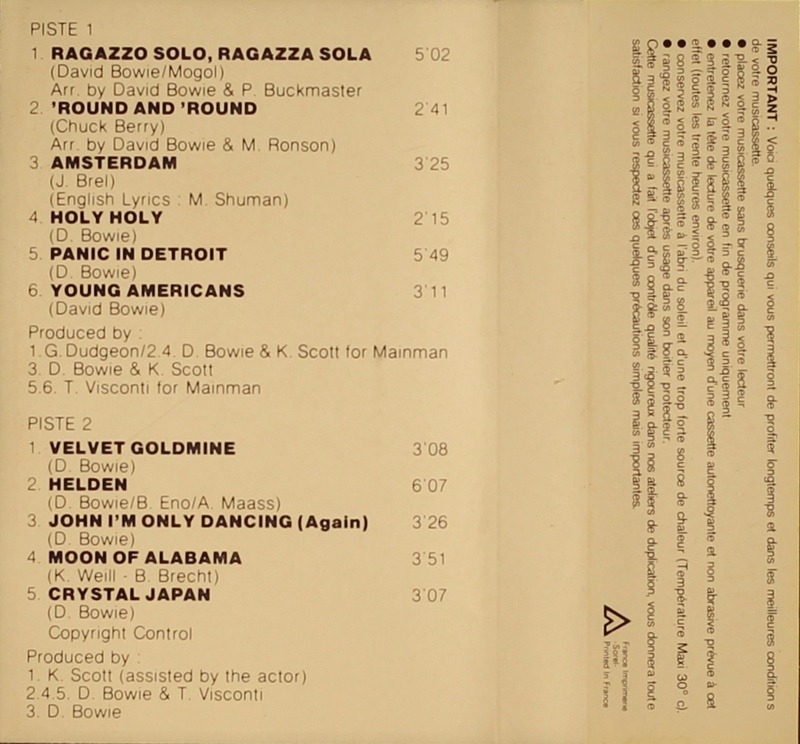 Side 1: Ragazzo Solo, Ragazza Sola; ‘Round And ‘Round; Amsterdam; Holy Holy; Panic In Detroit; Young Americans. 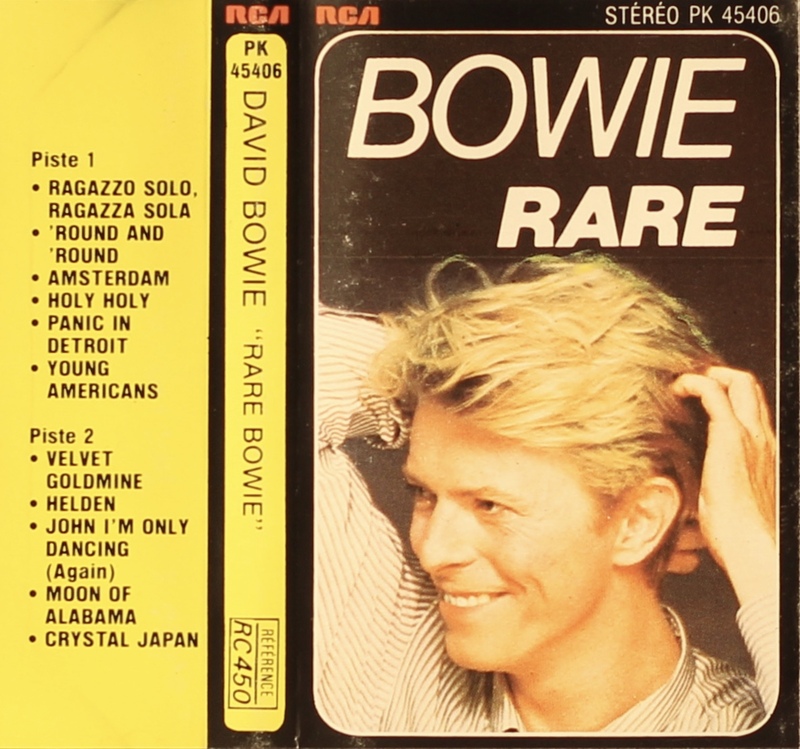 Side 2: Velvet Goldmine; Helden; John, I’m Only Dancing (Again); Moon Of Alabama; Crystal Japan.